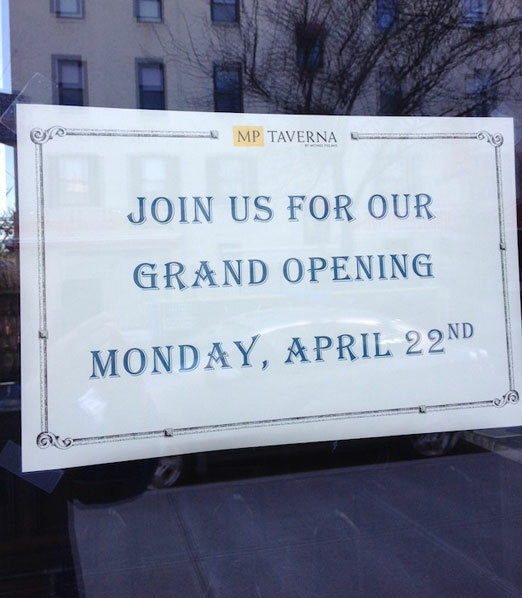 Astoria’s new MP Taverna will have their grand opening is on Monday, April 22. 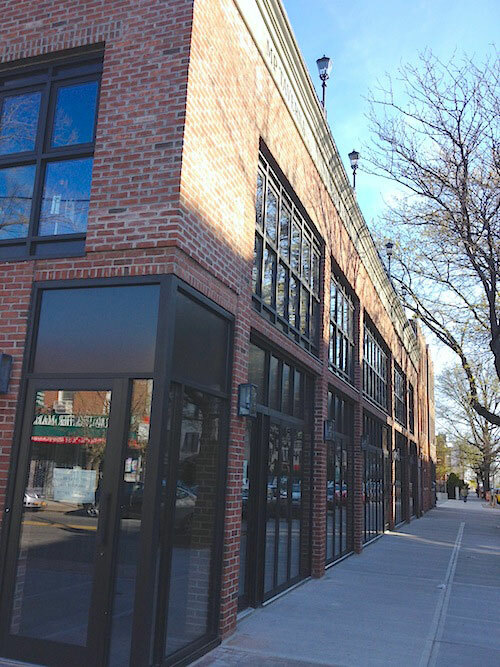 While it has seemed that the opening of MP Taverna on Ditmars has taken a while, we are certain that they are opening tomorrow, Monday, April 22. That’s because we saw this sign taped on their front windows, after hearing about it from both a user on Astorians.com and from a tweet by Adam Kuban. 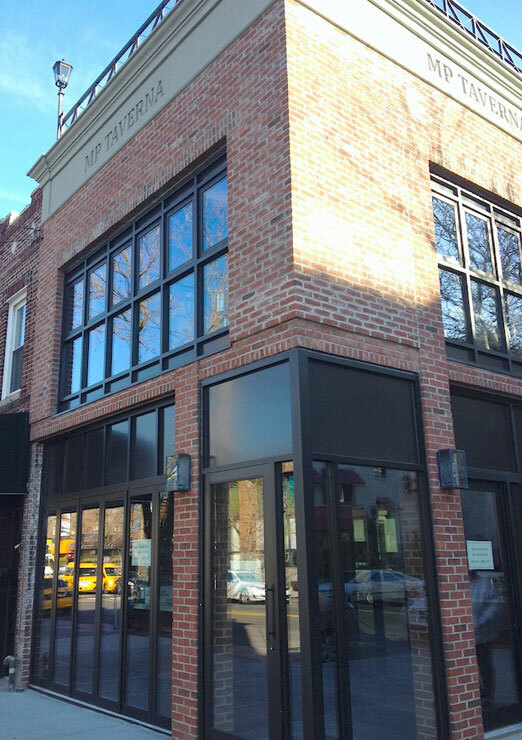 And here is what it looks like now from about the same spot – the corner of Ditmars and 33rd Street. 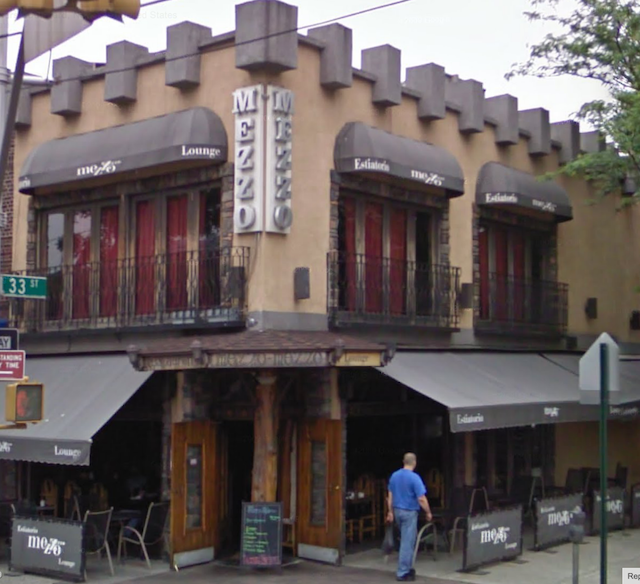 Here’s the building as it goes along 33rd Street – to me it seems to go quite a ways back. We look forward to checking it out this week and will report back on our experience. If you go soon, please let us know what you think! This place is amazing! Superior service, drinks and food. What a real restaurant should be. I will definitely be going back. 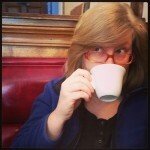 We went last weekend and the food was fantastic. Very professional operation, great service. The drinks/beer list is beautifully curated. I highly recommend. a greek restaurant part of an established chain opening up on ditmars, this guy is really pushing the boundaries. We went and found the food to be excellent. The space is lovely, too. This is a nice addition to Ditmars. and with “MP” plastered ALL OVER the building, inside, etc. Ego-maniac much?